Unique CharactersticsWe didn't think there could be a rose to top Knock Out, but we were wrong. Double Knock Out is everything Knock Out is plus more. Continuous blooming all summer long, the longest blooming cycle of any rose. Pest and disease resistant. 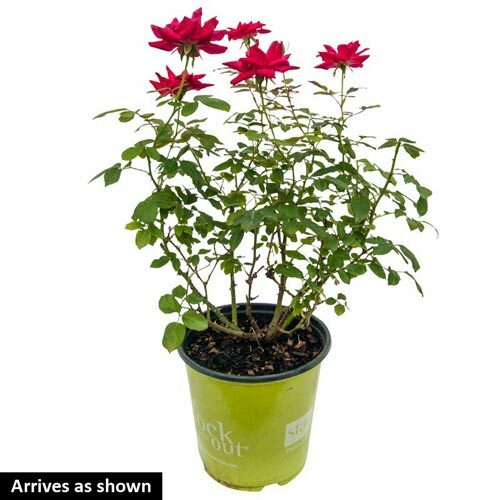 Compact rounded growth habit doesn't require deadheading making this a perfect low maintenance plant. 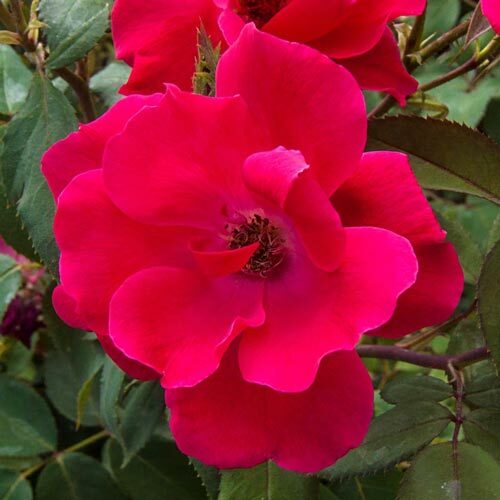 Double Knock Out has more petals per bloom giving you fuller, more showy blooms. 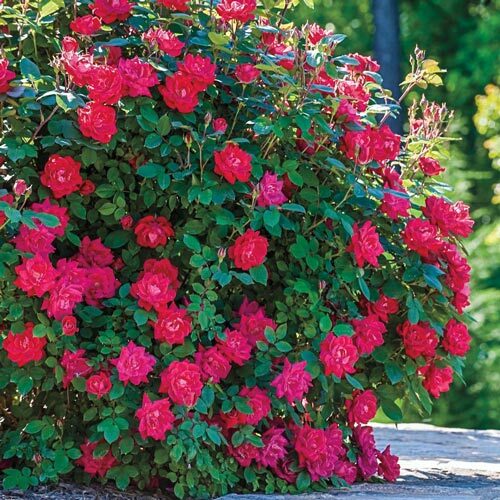 It has a better tolerance to shade, and along with a more compact growth habit, it is an ideal plant for a hedge or border anywhere in your landscape.